Learn how to make a leaf bowl using dollar store supplies and Mod Podge Stiffy. This is so easy, even a kid can do it. Perfect autumn decor. Don't forget to scroll down to see a video of how it all comes together! Skills Required: Beginner. You will be able to do the project if you make sure to read and follow the instructions below. It can be a little messy so make sure to cover your surface! 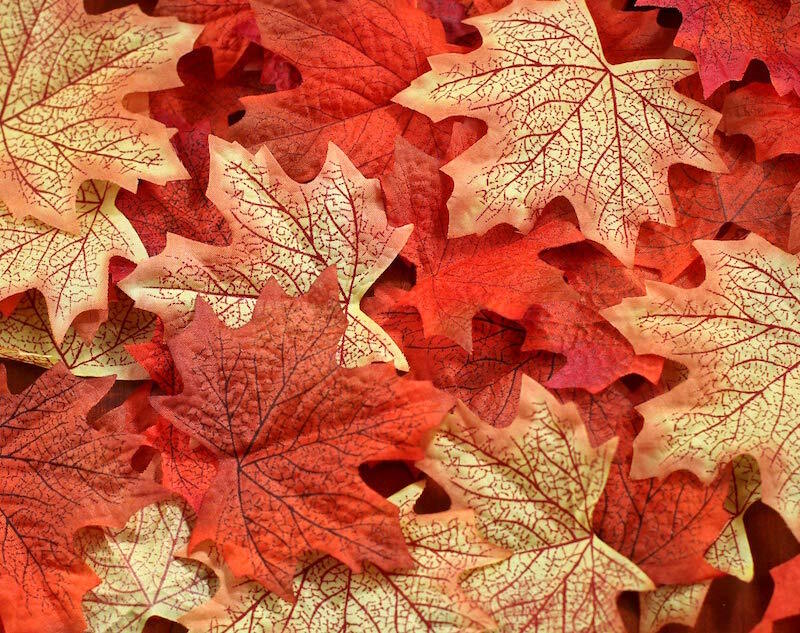 ‘Tis the time of year for all things fall, and what’s more perfect for fall décor than a colorful bowl made of leaves? I, Holly, made this simple decorative autumn leaf bowl using a variety of colorful fall leaves, making it the perfect place to store fall décor like pinecones. Mod Podge Stiffy is the perfect supply for making the leaves stick together and form a stiff, cohesive leaf bowl. It’s quick to make using a balloon as a mold, and now it makes a great statement on my bar cart this season. Did you know you can get most of the supplies at the Dollar Tree? They sell faux leaves as well as balloons and brushes, so you'll probably end up just having to get the Stiffy somewhere else. 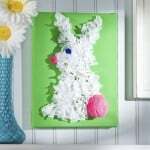 If you want to make several of these, the project ends up being pretty cheap – and plus there's a lot you can do with Stiffy (see all those projects here). Before we get started with the project, I wanted to answer a few commonly asked questions that you might also have about this DIY Mod Podge bowl. 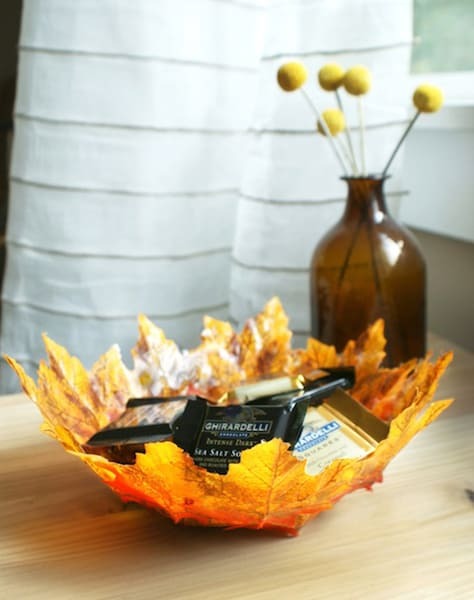 Should you use a bowl or balloon to make your autumn leaf bowl? Well – that's up to you. In this tutorial we use a balloon, but you can absolutely use a bowl from your kitchen. Basically you are just looking for a surface that is round/bowl-shaped as your form. Keep in mind that you'll want to cover the bowl with plastic wrap before using it as a mold, so that the bowl peels off easily when the project is done. You'll want to use faux leaves – you can't do this project with real leaves (I've been asked). I've had the most success with leaves that don't have thick veins. I find that the faux leaves with thicker plastic veins are harder to keep down on the bowl, so you'll want them to be pretty flexible. That is why the dollar store leaves are typically the best – they are thinner. One of the biggest challenges you are going to have with this project is keeping the leaves down as you add the Stiffy. You might find that they keep popping up . . . and that's where plastic wrap and rubber bands are going to be your best friend. If you get the “pop up,” continue on the project adding leaves until you are satisfied with the amount. THEN place a piece of plastic wrap over the top at the end, flattening all the leaves down. This might work – if the leaves are popping up under the plastic wrap, use a rubber band to hold them down. Leave the plastic wrap on for quite awhile (several hours) until the leaves have formed to your balloon or bowl – then you can remove it. Whether or not you get popping leaves really depends on the type of leaves you use. Yes – you can do this leaf bowl project with regular Mod Podge. The difference is that the Mod Podge won't dry as hard as Stiffy will. So I'm going to leave that up to you. 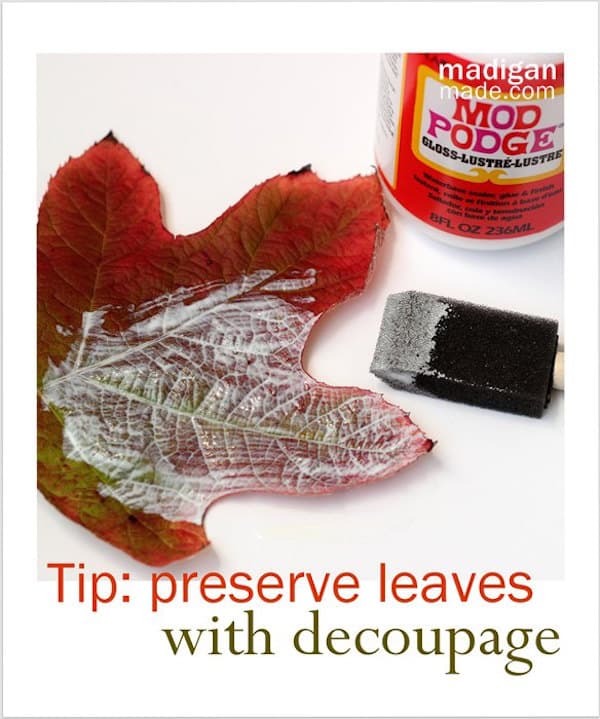 If you've used Mod Podge before, you know it's somewhat flexible. Stiffy will harden more like you would expect a bowl shape to be. Step 1: Blow up the balloon and place tied-side-down in a bowl or cup so that the balloon stands up. 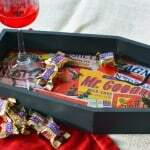 Another alternative is that you can cover a large bowl in plastic wrap. I'll leave that up to you; the way you apply the leaves is still the same. Step 2: Pour Mod Podge Stiffy into a small bowl and dip a large fake leaf into the mixture and use the paint brush to coat completely on both sides. Step 3: Place the coated leaf on the balloon and use the brush to flatten it on the balloon. Repeat with additional leaves, layering them on top of each other until the entire bottom of the balloon is covered. Set aside to dry overnight (remembering that you might be using the plastic wrap/rubber band method I mentioned at the beginning of this post!). Step 4: Carefully deflate the balloon – do not pop or it may ruin your bowl. 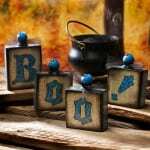 Shape the autumn bowl slightly with your hands and fill it up with decorative items. Fill the leaf bowl with seasonal décor, or use as a catch-all bowl for things like keys and sunglasses to last you through the fall season. Also note that this project was inspired by the project at Hello!Lucky that you can see below. The tutorial is no longer on their site.